The American Baseball Coaches Association has announced seven individuals to be inducted to the ABCA Hall of Fame in January 2019. 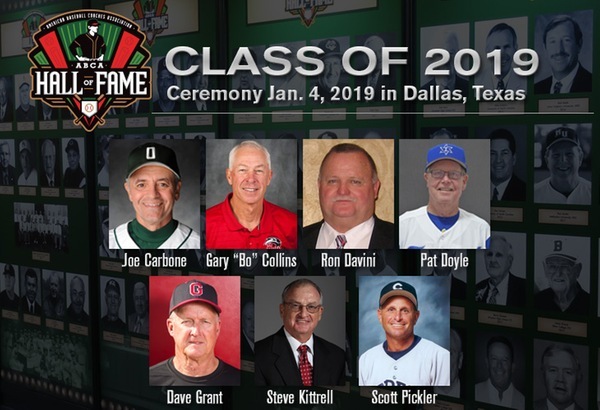 The 2019 ABCA Hall of Fame inductions will be held during the 75th annual ABCA Convention on Friday, Jan. 4, 2019 at the Gaylord Texan Resort & Convention Center in Dallas, Texas. Registration for the convention as well as tickets to attend the Hall of Fame banquet will go on sale September 1.